Those filing for divorce in Hammond against a military spouse should be aware of the fact that unvested military benefits may be considered marital property for purposes of asset division. The issue arose way back in 1981 with the case of McCarty v. McCarty in the U.S. Supreme Court, where it was decided that federal law precluded the award of military retirement benefits as marital property upon divorce. However, that decision invited congressional action – and Congress passed the Uniformed Services Former Spouses’ Protection Act, codified in Title 10 U.S. Code, Sec. 1408, effective as of 1983. Essentially, the new law holds that military retirement pay is considered marital “property,” which could be subject to asset division in divorce. However, the ruling doesn’t mean that former spouses automatically are entitled to a portion of their ex’s military retirement pay, and each case is decided according to individual facts and state law. Many jurisdictions continue to grapple with the issue, as evidenced in the recent case of Daniel v. Daniel, heard by the Ohio Supreme Court. This case specifically involved unvested military retirement benefits earned during the course of the marriage, or those benefits which have yet to be disbursed. According to court records, the husband and wife married in 1995, just after the husband enlisted in the National Guard. During their marriage, the pair had three children. Following two periods of separation, their divorce was finalized in 2011. By the time they divorced, the husband had served 16 years in the National Guard, and had recently reenlisted for an additional six years. Upon reaching 20 years of credit, he will be eligible to receive military retirement benefits. At the divorce trial, the magistrate overseeing the case ruled that state law wouldn’t allow retirement benefits not yet vested to be divided in the divorce. The trial court agreed, as did the Third District Court of Appeals, which affirmed. 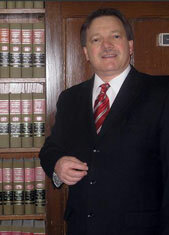 The appellate court specifically cited insufficient evidence indicating a requirement of asset division. The case was appealed to the state supreme court, which reversed and remanded. The majority in the 4-3 decision wrote that marital property is considered all interest that either or both spouses currently has in any real or personal property – which includes (but is not limited to) spousal retirement benefits accrued during the marriage. There was no distinction regarding whether those benefits were vested. The fact that military retirement benefits may be considered an asset for division doesn’t necessarily mean that the other spouse will collect them. However, the relevant value can be weighed. While divorces involving military personnel are in many ways just like civilian divorces, there are some matters that can serve to complicate the proceedings. Another reason it’s important for parties to seek experienced legal counsel. Military families are often re-stationed and required to move frequently. In order to file in Indiana, the divorcing party needs to show that one or both parties have resided in Indiana or been stationed her for at least six months and has lived in the county where the petition is made for at least three months.